Different plants obviously require various conditions to grow optimally. You don’t see massive rainforest trees in the middle of the desert or cacti in boreal forests. Although you may not be able to grow towering trees in a greenhouse, these ingenious structures can be used to mimic certain climate or weather conditions to supplement growing plants outdoors, which can be perfect for growing fruits, vegetables, flowers and other plants year-round and in places where they aren’t native. A greenhouse is a structure featuring walls and a roof that are made up of mostly transparent material. They are used by botanists, gardeners, and commercial plant growers, and can range in size from a small shed to an industrial sized building. 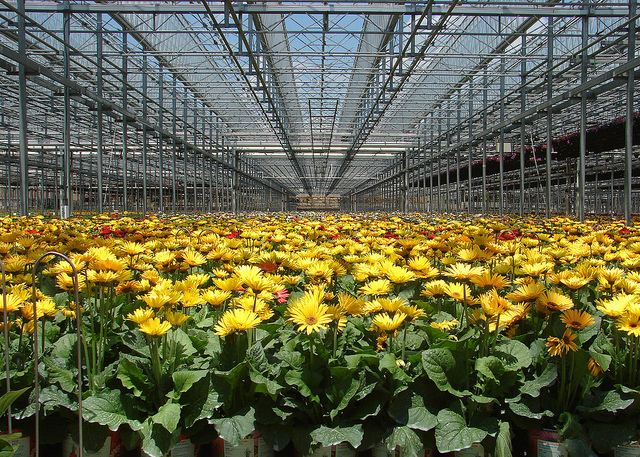 Greenhouses allow sunlight to enter while preventing heat from escaping. This sunlight warms the interior and is absorbed by material inside. The transparent covering of a greenhouse reflects energy back into its interior. Simply put, greenhouses are designed to collect light and convert it to heat. The controlled and protected environment a greenhouse provides allows plants to be grown outside of their usual region or season. The microclimate created can substitute for the plant’s native environment and make it much easier to grow. Greenhouses are also often equipped with automated drip systems or other forms of hydroponics irrigation methods to ensure the conditions inside closely match the natural conditions of the plants’ native habitat. Our selection is one of the largest in town and we would be happy to assist you in finding something to fit your needs. Contact Bennett’s today or give us a call at (765) 447-7636.